Dr. Jason Kur, MD, FRCPC, ABIM discusses symptoms and treatment of rheumatoid arthritis. Treatment of Rheumatoid Arthritis Dr. Jason Kur, MD, FRCPC, ABIM discusses symptoms and treatment of rheumatoid arthritis. Rheumatoid arthritis is an autoimmune disease that affects the joints and it can cause pain, disability, and loss of function. And because it’s a chronic condition, much like diabetes or chronic RV disease, it’s something that needs to be managed by a healthcare team. Now, if you have rheumatoid arthritis, there are going to be many people looking after you. Your family doctor is the quarterback of all of your healthcare and receives all information from other specialists you may be seeing. Your rheumatologist is the doctor that helps you decide on what medications are used to treat your arthritis and prevent long-term damage. In addition, you may also be seeing a nurse, a physiotherapist, or an occupational therapist as part of your care. The role of a nurse in that setting may have them do many things for you. Nurses will be involved in administering medications. Some of the medications we use to treat arthritis are given intravenously in the office and a nurse will be the individual that is providing this service. In addition, many of the medications that we use to treat rheumatoid arthritis are not available in a pill form and as a result they are given by injection and nurses will often teach you how to do those injections yourself so that you can do them at home. Nurses are also very important in administrating vaccinations and many of our patients require vaccinations because they are on immune suppressant medications, so they will likely talk to you about vaccinations and which ones you need. And finally, nurses can be very important in helping manage pain, disability and a flair if your arthritis is getting worse. They are also a crucial link with your rheumatologist and are able to convey important information back to them between your healthcare visits. The goal of all these members of the healthcare team is to help your arthritis and prevent damage over the long term. Rheumatoid arthritis is an autoimmune disease that effects the joints causing pain and stiffness. Rheumatoid arthritis often requires a team of health care practitioners, such as a doctor, nurse, physiotherapist and occupational therapist, to ensure optimal management of the disease. 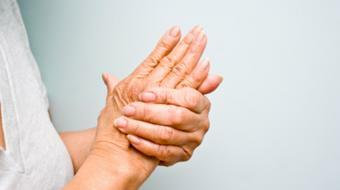 Rheumatoid arthritis is easily cured with the right medication. Sport-Related Ankle Injuries " Jason a 23-year-old recreational ultimate frisbee player "
Ankle and Foot Sprains " Nadia a 22-year-old martial arts instructor "